In commercial real estate brokerage it is good to have a marketing system at a personal level that is relatively automatic. Ideally that is something you do of a promotional nature that you do not have to spend too much time working on each week. It should also be something that will spread the word easily about your professional skills as an agent or broker for a location. Far too many agents and brokers do the same thing from a promotional perspective; they do nothing that will help them stand out as a professional and top agent for the location. The local property investors and the business owners thereby have no particular reasons to remember any agent when their property needs arise or change. Regular ongoing contact with the people in your property market in a relevant way is a critical component of professional marketing in commercial real estate today. 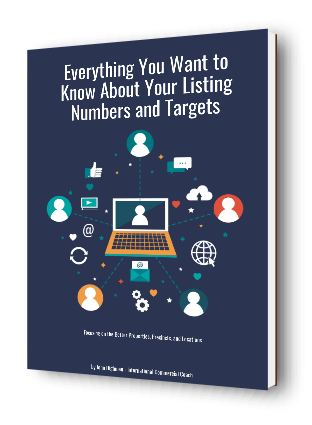 There will always be buyers and tenants to find and match to your listings; focus your prospecting efforts into your database and create plenty of conversations in the process. 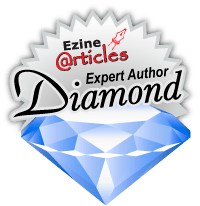 So you have a few alternatives to think about to help you connect with your prospects. Some promotional activities will be more successful than others and you should be tracking them to understand the conversions you are achieving from each marketing method. In saying that, consistency is the key to spreading the word locally about your professional skills. When a client or a prospect has a property need or challenge, they need to remember you in a positive and simple way. What can you do to stand out as the agent of choice at the right time for your location? In an ongoing way certain promotional things should be repeated directly and consistently to the right target audience. When you track the results from all of your marketing activities, you will soon know where the results are coming from and why that people are approaching you. Signboards – The traditional signboard is a very effective marketing tool for a location. It is cost efficient and consistent in attracting enquiry within a location or a precinct. That being said, the exclusive listings that you work on should have specifically designed signboards to attract greater levels of enquiry. Make sure that each signboard is optimised for the property type and the enquiry that you are looking for. Professional photographs, key words, and features listed in dot points should be included in the signboard message. In placing signboards on busy main roads ensure that you have optimised the message and placed the board in the best location for visual impact. Internet – There are a number of things that you can do on the Internet to consolidate enquiry and attract search engines. Establish a matrix between your brokerage website, your social media, the industry portals, and a personal blog. The website allows you to place your listings directly, the social media channels that you use can integrate and link into your listings and your blog, and the blog itself can be a channel of comment relating to the local area and recent property activities. Existing listings – When you have an exclusive listing in a given location you have lots of reasons to talk to local property investors and business leaders. Use your exclusive listings to market yourself in a positive way as an industry specialist. Work through the streets in a methodical way and talk to all the business owners and property owners. Tell them about the exclusive listing and their chance to participate in the sale or lease situation. In undertaking this process, you can grow your database comprehensively and consistently around all of your other listings as they go to market. One quality listing will lead you to plenty of enquiry and help you conduct relevant conversations about commercial real estate. So the message here is simple and clear. Make your marketing systems relatively automatic, simplify them so they are easy to implement, and track the results as you go. Look for the indicators that will help you understand what people are looking for from a purchase or a lease perspective.